The Organic Pharmacy is a British organic body care and beauty company who make their products from organic ingredients whenever possible, which is over 95% of every item they make. Their range includes skin care, cosmetics, shampoos and hair care, a small male skin care range, and a large organic pharmacy made up of a highly effective and comprehensive range of herbal tinctures and ointments, and homeopathic tablets. Each boutique has an in-store homeopath and pharmacist, as well as an aesthetician. So when the I heard that the Organic Pharmacy was opening their first New York location not far from my home in the Village, I was excited to try them. 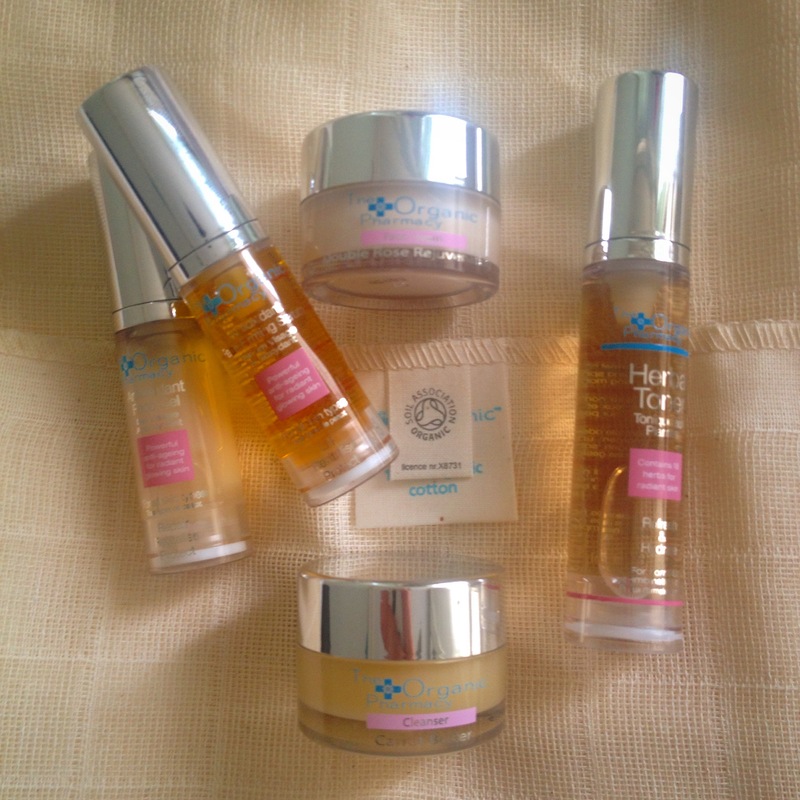 There are wonderful organic skin care products. There are sophisticated organic perfumes. There’s a very full range of natural cosmetics, with a makeup artist on hand to help select the right products for your style. There’s a stress-measuring device (which wasn’t working when I visited, but apparently can measure if you’re deficient in minerals, vitamins or anything else via the flow of electrons through your sweat). And then there’s the star of the show at this location, in my opinion. And that would be Karen, who is the lady who gave me a facial. She’s an aesthetician, of course, and had a lot of great advice about caring for my skin, and how to use the fantastic products most effectively. But equal to that was her personal sense of healing medicine. I’ve had the pleasure to receive some pretty extraordinary massages and skin treatments over the years, and Karen is definitely up there with the very best. Which means that basically during the 30 minute facial, I almost fell into a deep, deep sleep, only prevented by the fact that there was a store opening event going on with members of the press and publicists etc. And that the day after, my skin is very noticeably more radiant, the pimples have healed, and the texture is wonderful and hydrated. So if you’re in New York, visit the store on Bleecker Street and have a facial with Karen. You’re welcome. And if you’re not, then treat yourself to the Organic Pharmacy products over the counter or online at Barneys New York, and you’ll still get a lot of these wonderful results. Either way, your skin will smell wonderful, feel hydrated, and you’ll be delighted you did.